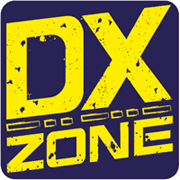 CallSign Software - HamStationExtreme, hamradiostation and scopestation makers. CallSign Software provides a variety of Radio Control Packages to drive ICOM, Elecraft, and Ten-Tec's latest DSP based Transceivers and Receivers. IC7100BKT IC-7100 CAT Control Software - IC7100BKT is a free program to control the Icom IC-7100 transceiver for MS Windows, available in free version with limited functions and full donationware version. Radio Frequency - ICOM R8500 - The RadioFrequency Program is a professional Software dedicated to all HAM, SWL and Radio Listeners. Freeware. Included is a Text-CSV dBase Converter. Connection to the ICOM R8500 Receiver. Special Scanning Feature. Special Search Feature x large dBase.